What could be more cute than a layered punch to serve up on Halloween? 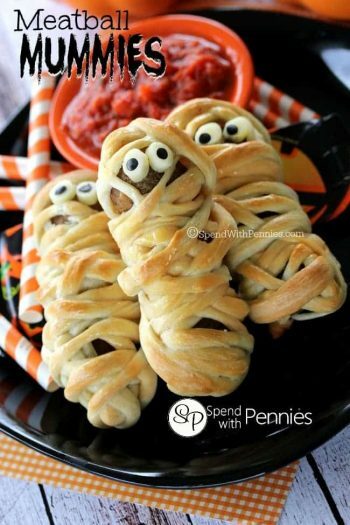 It’s really simple to make, looks adorable, and tastes great! 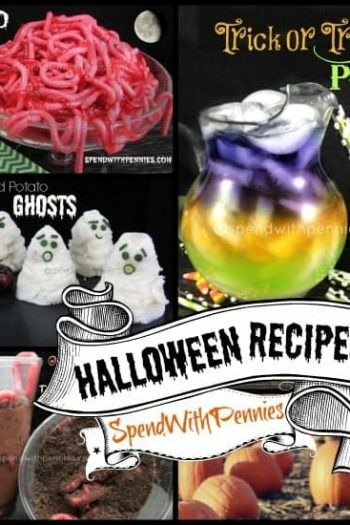 This is an especially fun recipe for kids! 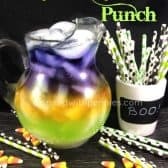 The key to making this halloween punch recipe work is to look at the sugar content on each item you are pouring! You want to go from the highest sugar content on the bottom, to the least sugar on the top in order to keep the layers separate! If you feel the colors are not rich enough, adding a drop or two of food coloring can help and won’t affect the layering. Choose whichever colors you like best for your gathering… green, purple, orange, white. Note: This seems to work best with non-carbonated drinks. Fill each glass, cup or bottle or your drink container to the very top with ice. Read each of your labels to see which drink has the highest sugar content, this will go in the glass first. Tip the glass/container to the side and slowly pour your first layer until your glass is 1/3 full. Choose your second highest sugar content and pour very slowly ensuring you are pouring over an ice cube to avoid mixing. Fill to 2/3 full. Repeat with your remaining layer. 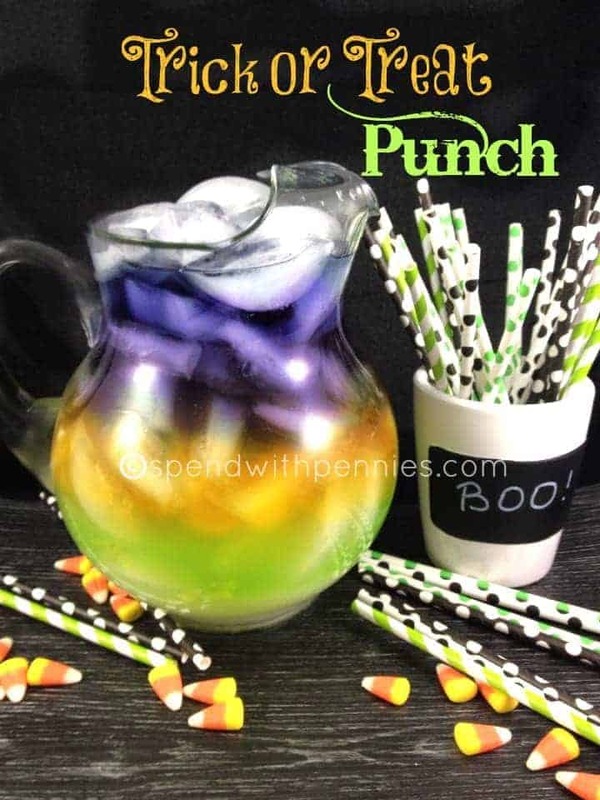 Hi Holly, I just wanted to let you know I included your lovely beverage in a Halloween round-up post. If you would like me to share it with you I can, per your instructions on sharing policy. :) Cheers and Happy Halloween, muahahahahaha! Haha, glad you think so! Can’t wait for holiday treats later this year! I used a Gatorade on the bottom, an orange cocktail in the middle and a sugar free Gatorade on the top (with a couple of drops of food coloring as it was light in color). Cool! Great tips for how to make it work! Great idea! I have daughters that are grown but they love Halloween. Every year we look for new ideas for our party. Thanks!